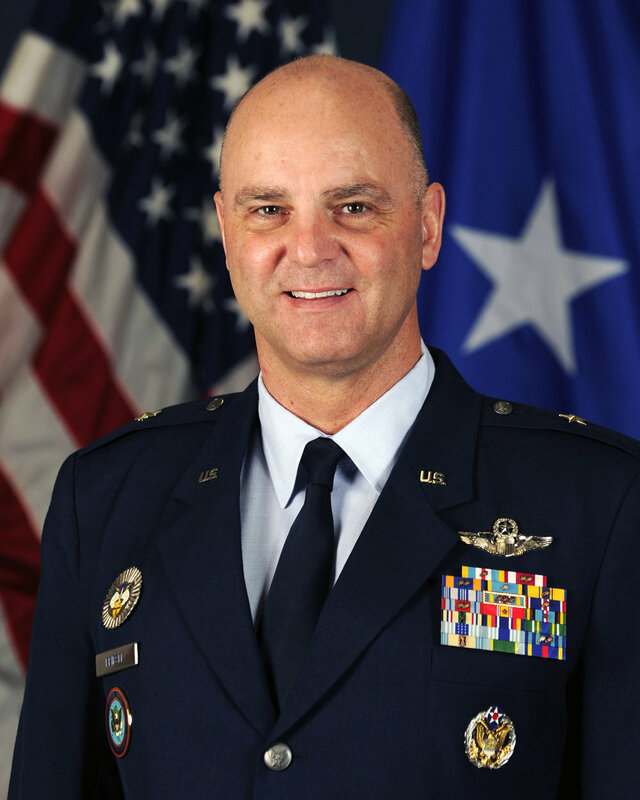 SALEM, Oregon - Oregon Air National Guard Col. James R. Kriesel is scheduled to be promoted to the rank of brigadier general and will assume command of the Oregon National Guard's Air Component in a ceremony January 6, 2018, at 2:30 p.m., at the Anderson Readiness Center in Salem, Oregon. As the Air Component Commander, he will be responsible for mission readiness and operational effectiveness of two fighter wings (173rd and 142nd Fighter Wings), special tactics and air control squadrons, and more than 2,400 military and civilian personnel. In this role, Kriesel will oversee development of operationally trained, equipped and mission-ready forces in support of federal mission requirements to include North American Aerospace Defense Command with 24/7 immediate response in defense of North America and state missions of emergency response, relief and recovery operations throughout Oregon. Prior to this new assignment, Kriesel most recently served as the director of Intelligence (A2); Air, Space and Information Operations (A3); Communications (A6); and Strategic Plans and Programs (A5/A8) for the Air Component Command, Joint Force Headquarters, in Salem, Oregon. He was responsible for directly synchronizing the Oregon Air National Guard's state and federal missions. Kriesel graduated from the University of Washington in 1986 with a Bachelor of Science in aeronautical and astronautical engineering. He received his commission in 1989 after graduating from U.S. Air Force Officer Training School at Lackland Air Force Base, Texas. He is also a graduate of the United States Navy War College and attended Harvard Kennedy School of Government. He is a command pilot with more than 2,600 hours in the A-10 and F-15. He has fought in operations Desert Storm, Provide Comfort, Northern Watch, Southern Watch, Enduring Freedom and Freedom's Sentinel. He has commanded a deployed Alert Detachment, Fighter Group, and was senior leader of a Combined Joint Task Force. He served in various key operational and staff assignments throughout the United States, Europe, Asia, Middle East and Africa. He shaped strategies procuring combat force multipliers that are used today in worldwide contingencies and NORAD's mission of defending North America. Kriesel enhanced Coalition support against violent extremist organizations with France, United Kingdom and Special Operations Command-Africa. He contributed to Department of State China-Africa strategy and Somalia counter-piracy with United Kingdom, Germany, Italy, Japan, Spain and South Korea.